And would he not thus would be guilty of offending God by his freely chosen sinful behavior? Is it possible that he never heard of this teaching? Didn’t he attend Pre-Cana classes before marrying his spouse in a Catholic ceremony in which he vowed fidelity until death in the indissoluble bond of marriage? Isn’t it the reality that he couldn’t celebrate a Catholic ceremony for his second “marriage” because the Church does not consider a second union, while his spouse is still living, to be a marriage, but rather an adulterous union? The Church’s discipline of denying Holy Communion to those living in a public state of sin is not uniquely based on her duty to prevent public scandal. It is also based on the plainly reasonable assumption that someone who freely commits objectively grave violations of God’s law in a matter with which they have sufficient familiarity (in this case, the recognition by a Catholic who has been married in a Church ceremony that he is never allowed to commit adultery) is, in fact, guilty of intentional violations of that law and thus has fallen into mortal sin. Can a Catholic married man who, following a civil divorce from his wife, “remarries” and has ongoing sexual relations with a woman who is not his wife safely assume for any reason whatsoever that he is not guilty of mortal sin, and thus is free to approach the altar to receive Holy Communion? Of course not! The Church is not in the business of supplying “get-out-of-jail-free cards” to people who violate God’s law and then search for excuses why that law does not apply to them in their particular cases. To do so is to treat God’s law on marriage, or any other matter, as merely a suggestion, subject to personal ratification before becoming obligatory. If, as a result of the process of discernment, undertaken with “humility, discretion and love for the Church and her teaching, in a sincere search for God’s will and a desire to make a more perfect response to it (AL 300), a separated or divorced person who is living in a new relationship manages, with an informed and enlightened conscience, to acknowledge and believe that he or she are at peace with God, he or she cannot be precluded from participating in the sacraments of Reconciliation and the Eucharist (see AL, notes 336 and 351). How should Maltese priests who hear confessions respond from this point on to divorced and remarried Catholics who seek absolution without a firm purpose of amendment? Are they to cooperate in what is plainly an act of non-repentance of adulterous behavior, as in the case of a man who tells the priest in confession that he plans to continue committing acts that he was taught were mortally sinful but now, thanks to this new document, he believes he is at peace with God? Are priests now to accept without question the “at peace with God” claim of divorced and remarried Catholics who come forward for Holy Communion in their parishes? Is there no harm and scandal given when publicly known behavior reprobated by God is treated as a matter of indifference by the Church – so long as the person engaging is such behavior has decided, against the plain words of Our Lord, that he is just fine with God. Or thanks to his bishops, he is now sure that God has no problem with his behavior, which he has judged to be good for himself in his concrete circumstances? Clearly, this is scandalous and destructive of faith and morals. Should Pope Francis answer the dubia of Cardinal Burke et al.? The Maltese Bishops’ document is undeniable evidence that in the absence of a papal reaffirmation of the Church’s constant discipline and teaching about marriage, divorce, adultery, and the reception of the sacraments the integrity of the Church’s teaching and mission will be undermined by her own confused shepherds. Unless the pope acts, we will witness a global fragmentation of what was once consistent, universal, faithful Catholic teaching. The Rev. Gerald E. Murray, J.C.D. 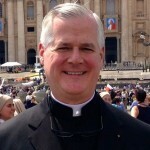 is a canon lawyer and the pastor of Holy Family Church in New York City.